Ever-changing technology and our mobile devices have created new ways we can share the good news. 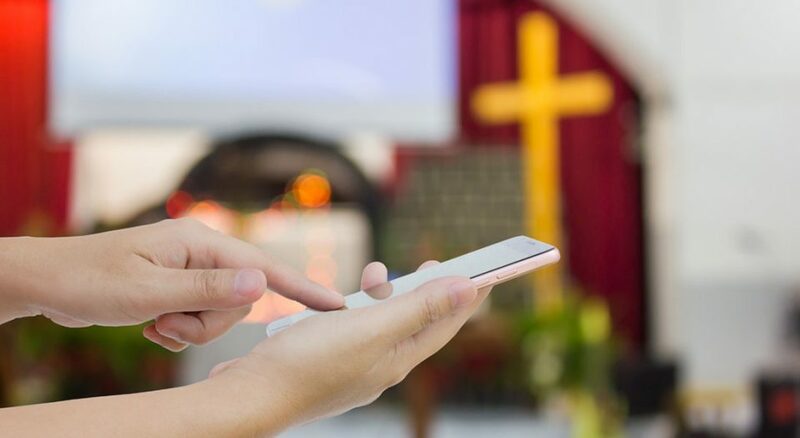 While some congregations are embracing tech-savvy ways of evangelism, others see worship as a time to “power down” on electronics, so best practice is to follow the etiquette appropriate for your situation. Whether you post a message during the service or wait to share a photo until you get home, you can use Facebook to promote your congregation. When you get to church, pull out your phone and check in by tapping “Update status” and choosing “Check in.” With your check-in, say something awesome about your congregation and how happy you are to be there. A post like this promotes your congregation because instantly all of your friends can see where the church is and how great you think it is. You never know when one of your friends may be looking for a church home. Often during worship something strikes us just the right way—it speaks to our heart and helps us see the gospel, ourselves or the world in new ways. Don’t keep it to yourself—post that insight to Facebook. Share the ways God is speaking to you in worship. Is there part of the church facility you really love or a beautiful piece of art? Take a picture and post it to Facebook to help people see the amazing things you see on Sunday mornings. Even better—pair that picture with an insight you heard during worship. Many congregations use Facebook to invite people to events. When you RSVP to these Facebook events it helps the congregation get a sense of how many people will attend. And every time you RSVP, more people see it and are made aware of your congregation’s events and ministries. Facebook pages don’t always reach as many people as you might think. The “Facebook algorithm” means that more relevant posts are likely to show up in your news feed. Posts become more relevant when people you know like them, comment on them and share them. Every time you like, comment and share posts from your congregation’s Facebook page, you help your ministry reach more people.